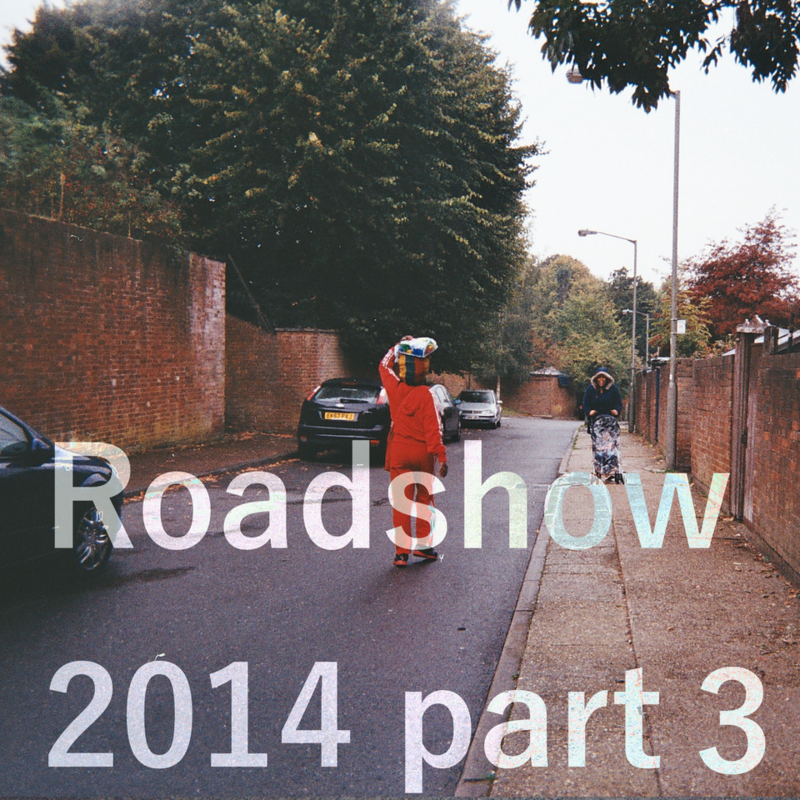 In 2011 the Wandsworth Arts Team approached Spare Tyre to work with isolated older people in this borough. 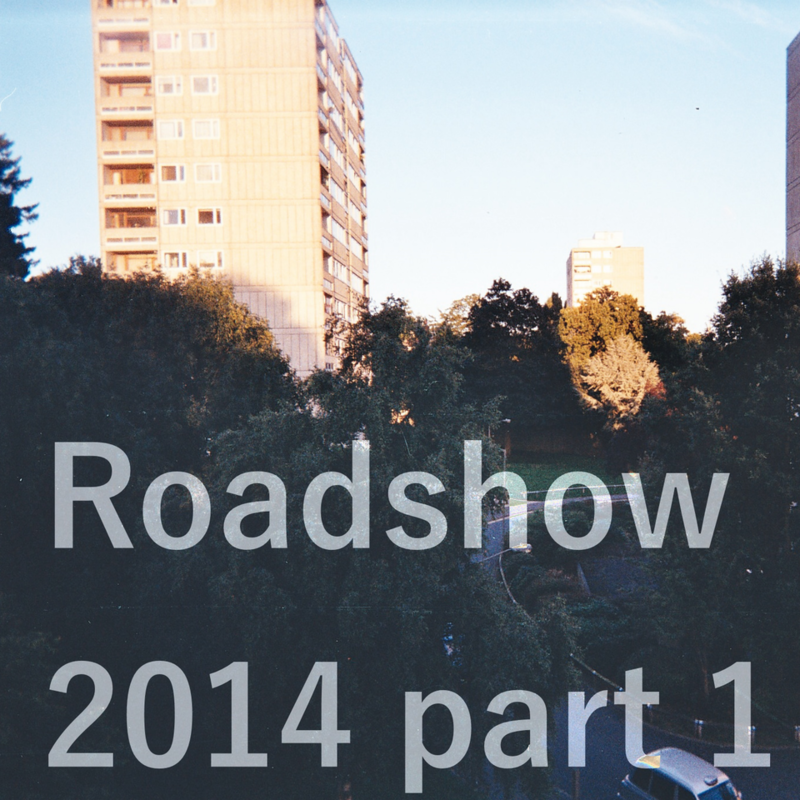 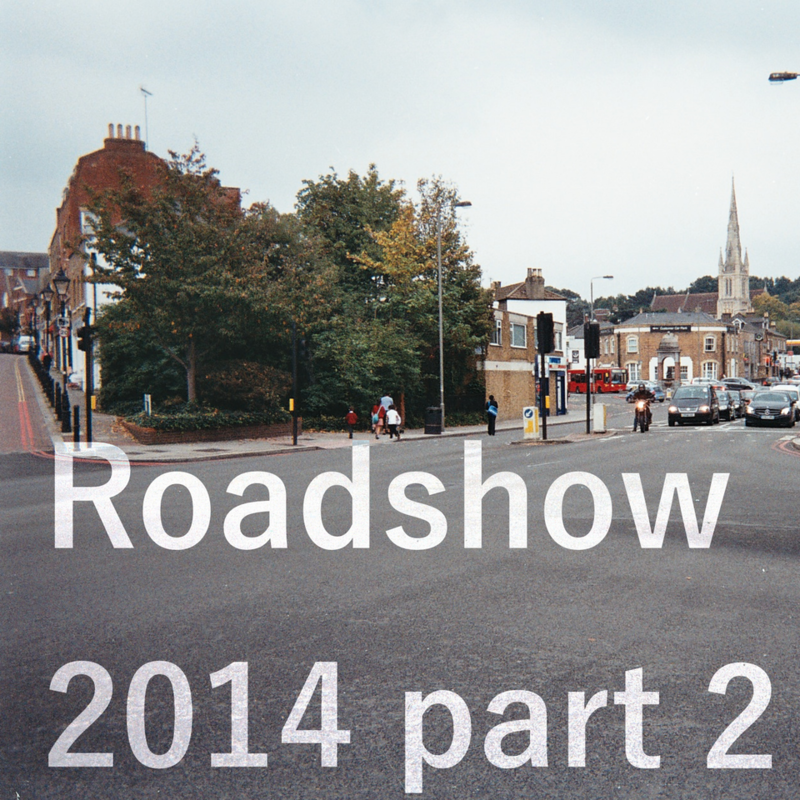 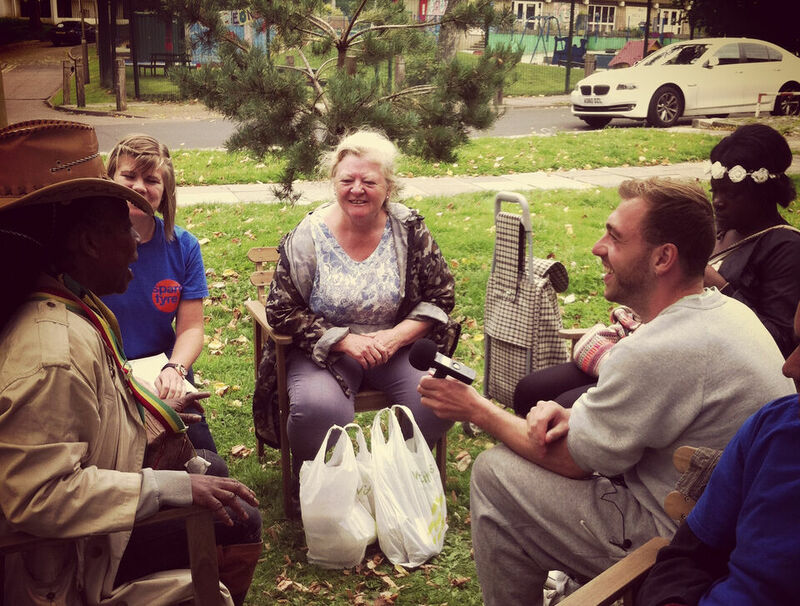 Over the next seven years Spare Tyre worked with the Roehampton community on several projects. Wandsworth Whispers was a series of workshops working with older people; creating, collating and recording stories. 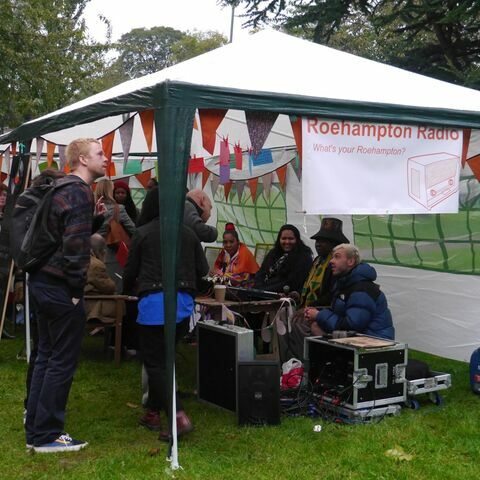 Village Green was the second stage of the project. 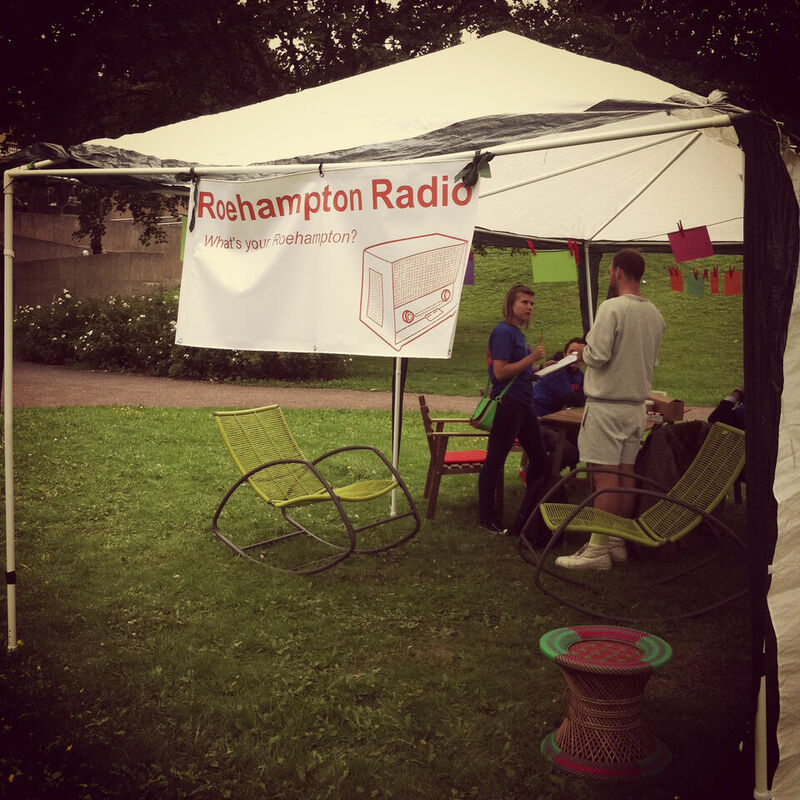 A gazebo was set up to engage with passers by in conversation and storytelling. 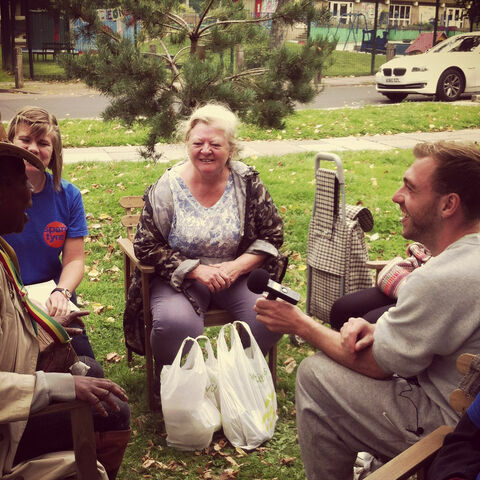 These stories, thoughts and experiences evolved into a site-specific live art installation and connected the older people with the wider community. 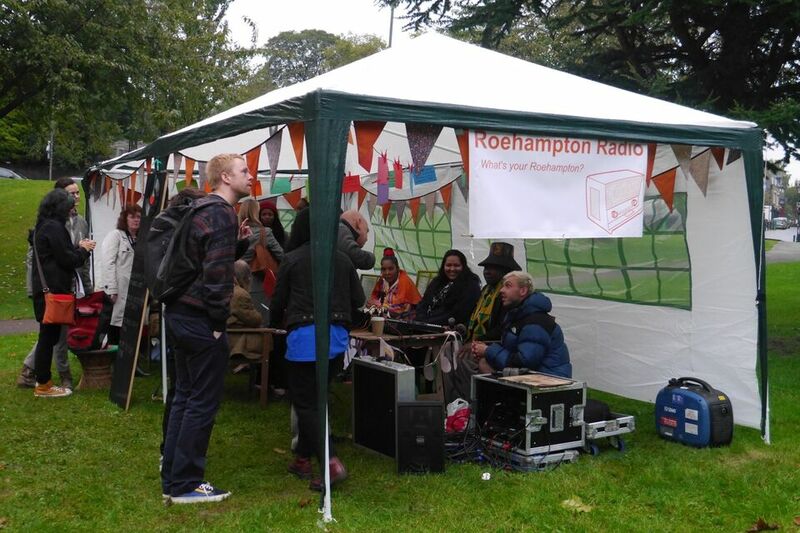 The final stage of this collaboration was Roehampton Radio, a way for people to share stories, exchange ideas and discuss sensitive issues through an online radio platform.